To make it easier for consumers to choose from the myriad of Seagate's storage solutions, the company decided to categorize its storage solutions based on different usage scenarios. 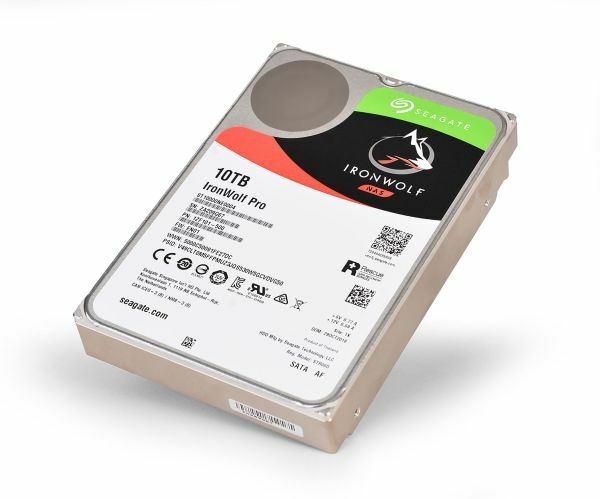 The IronWolf and IronWolf Pro series of NAS hard drives are storage solutions optimized for use in multi-bay NAS systems and are available in capacities up to 10TB. Before we jump into the details, it's best to explain why the IronWolf and IronWolf Pro series are optimized for use in NAS systems. This NAS HDD series comes with AgileArray technology, which is the use of dual-plane balance and Rotational Vibration (RV) sensors that help to reduce the amount of vibration when used in a multi-bay NAS system. 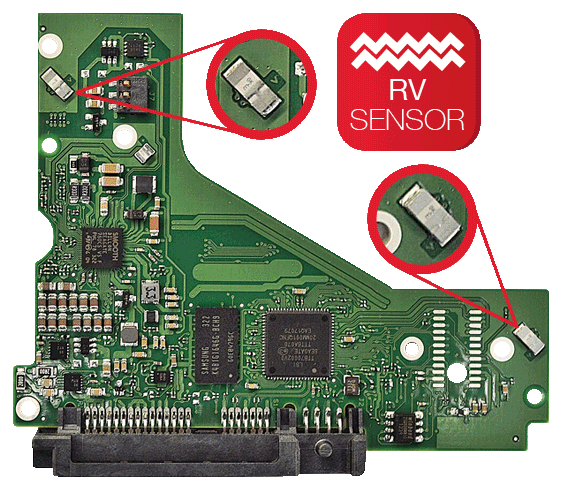 RV sensors are available in all IronWolf Pro variants, as well as in select variants of the IronWolf series. Less vibrations not only mean less noise when the drives are in operation, but also lessens the chances of data corruption due to shock damage. Apart from that, Seagate also claims that the IronWolf Pro series supports multiple user workloads of up to 300TB per year. This means that you're able to upload content to the NAS and rewrite this data plenty of times, without ever needing to worry. Last but not least, all IronWolf Pro NAS HDDs come with a two-year subscription to Seagate's 'Rescue' data recovery service. This service is available to you, regardless if the cause is accidental damage or mechanical damage. All you need to do is register the drive(s) to activate the service. Needless to say, this is a very important service to have, especially if you're planning to store highly important data on your NAS. There's also another addition that you can look forward to with the IronWolf or IronWolf Pro, and that's the 'IronWolf Health Management' feature. With this enabled, the NAS drives are automatically monitored, so they can provide the best performance, regardless of the task at hand. If any issues are found, an analysis will be given to you, along with the recommendations to fix it. Solutions based on environmental and operational values will also be presented. Do note that this feature is only compatible with Seagate's IronWolf and IronWolf Pro series, and Synology's DiskStation devices running on DSM 6.1 OS. At the time of publishing, this feature is expected to arrive sometime in February 2017. For those who want more technical information, this NAS HDD uses the SATA 6Gb/s interface, has a 256MB cache, and a spindle speed of 7,200 rpm. Mean time between failures (MTBF) is rated at 1.2 million hours. 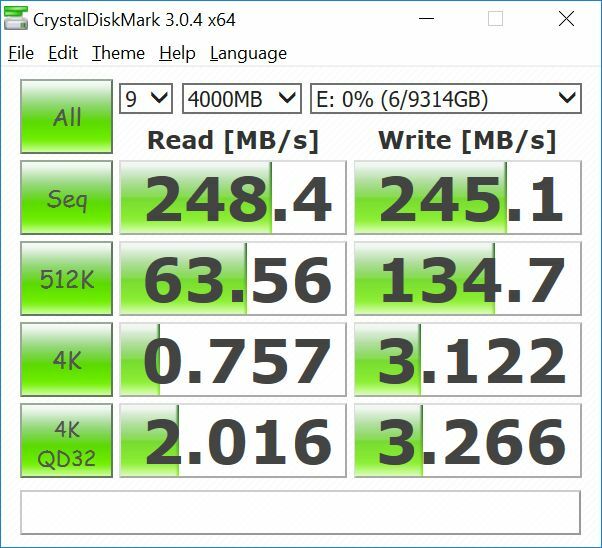 To get a better idea of the performance of this NAS HDD, we hooked it up to our test rig and ran CrystalDiskMark. We loaded the 4GB cache test and let it run for nine cycles, where the HDD gave us sequential read and write speeds of 248MB/s and 245MB/s, respectively. While this doesn't really look impressive, you have to remember that the IronWolf Pro series is made for consistent and reliable performance, so speedy transfers and high IOPS isn't really a priority. 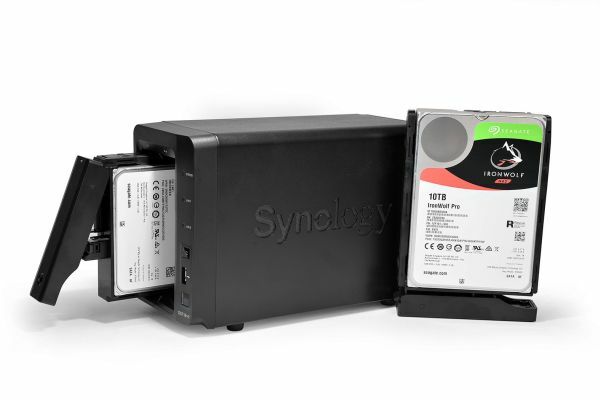 Once we attained the sequential read and write speeds, we loaded two of these drives into a Synology DiskStation DS716+II NAS to see how well it performs in a RAID 0 configuration. We uploaded a number of video and audio files to the system, and connected to the NAS via LAN to see how fast we could stream content. Fortunately, we didn't experience any lag at all when streaming either content. Fast-forwarding and rewinding content also did not affect the streaming at all. During playback, we monitored for any sound caused by the vibrating drives, but barely heard any. In addition, we also timed how long it would take for us to download content from the NAS via LAN. We downloaded 4GB worth of files from the system, which took just over six minutes, at a steady rate of about 10.5MB/s. Of course, download and upload speeds are dependent on your router and network bandwidth; the purpose of this test was another means of monitoring the sound that's caused by the spinning drives. Again, we're happy to report that in a working environment, the drives were whisper quiet. While it is easy to purchase a hard drive for a NAS, there are other factors that determine if that HDD will continue to perform two years down the road. It's also uncertain if your data would remain intact in that HDD. With the Seagate IronWolf Pro, however, it's pretty much a worry-free affair. It's optimized for a RAID configuration in a multi-bay NAS system, has very little vibration when active, and most importantly, comes with a two-year Seagate 'Rescue' data recovery service. There's also a five-year warranty for additional peace of mind. The transfer rates could be faster, but the fact remains that this drive is not made for speedy performance. Instead, it's made to offer stable, reliable performance. 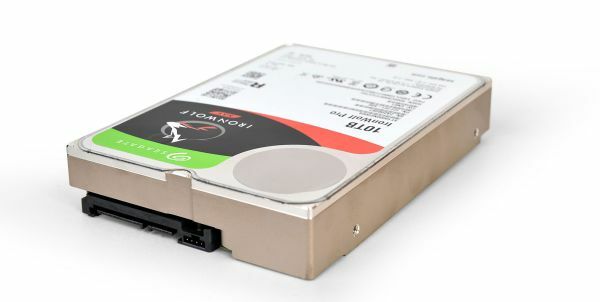 If you're looking for a HDD for your NAS in a commercial business or enterprise environment, this drive will serve you well.